Listing provided courtesy of Arne DeWitt of RE/MAX Select One. Last updated 2019-04-17 08:22:39.000000. Listing information © 2018 CRMLS. This Single Family Residence property was built in 1981 and is priced at $2,450,000. Please see the additional details below. 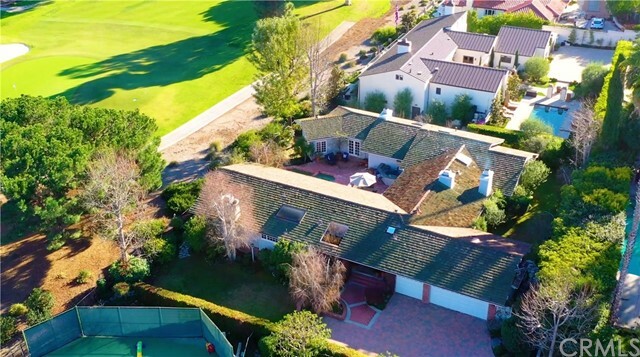 Located on the 11th green of the prestigious golf course at El Niguel Country Club, this home is a golf lovers dream. With holes 11, 12, and 16 in view, the golf course seems endless. This traditional style home has a newer wood shake roof, red brick patio and planters, wood pained windows and French door throughout. With 4 skylights in the home natural light flows in. When you enter through the double entry doors you immediately feel the warmth and charm of this exquisite home. Many rooms feature vaulted and exposed beam ceilings and there are 4 fireplaces in total. With a large formal living room and open a spacious dining room, you can easily entertain. 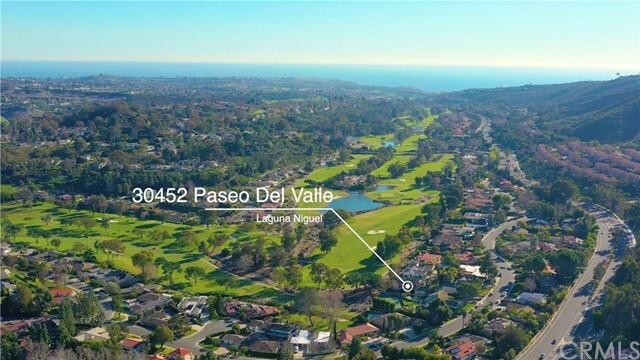 There is a large area for informal living with a breakfast area adjacent to the kitchen, wet bar with wine refrigerator and cooling drawers, a family room plus a large game area, all with views of the golf course. The Kitchen has many custom features. The other wing of the home features 3 bedrooms, 2 large secondary bedrooms and a grand master suite with a large sitting area and French doors leading to the patio and forever views of the green golf course. The hidden gem of this home is its office or library. It is very cozy with a wood burning fireplace. The yard is tastefully traditional with a built in Jacuzzi and “Cool Pool”, built in bar-b-q, refrigerator and bar area. There is a central vacuum system, 2 water-heaters and 2 H VAC systems and 3 car garage. It has 16,000+ sq ft lot and 4,247 of living space!